The Tilburg nickel 5 light chandelier with white faux silk shades, a classic design based on the Flemish chandelier, modernised with crystal spheres and glass bobèches. 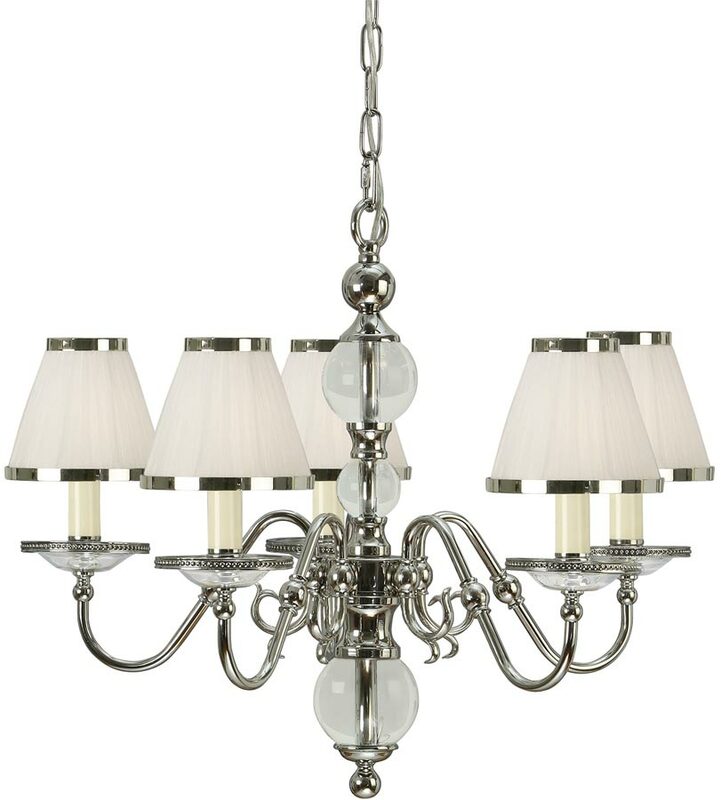 A medium sized chandelier finished in highly polished nickel, with a matching ceiling mount and chain suspension. The arms are attached to the central baluster, decorated with high quality crystal spheres. Detailed double curved arms radiate from the centre, with detailed finials, decorative glass candle pans and white candle sleeves. 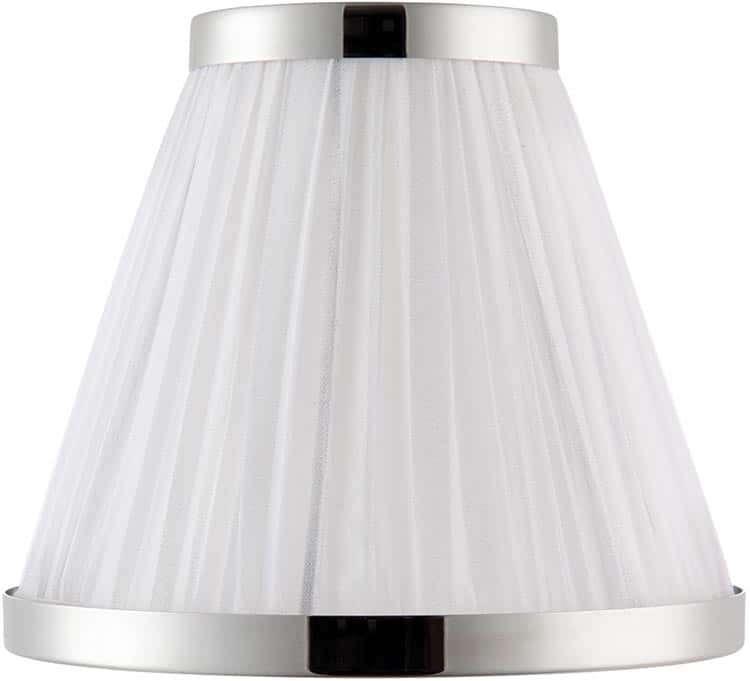 Supplied with wonderful 6-inch white faux silk pleated shades that feature a polished nickel trim at the top and base. A good sized chandelier finished in polished nickel that complements the clear crystal and glass decoration. This modern classic will add luxury to contemporary and traditional environments. This is a medium chandelier that is suitable for almost any sized room. Height adjustable at the time of installation, minimum height 57cm, maximum drop 150cm. The Tilburg nickel 5 light chandelier with white faux silk shades, part of the Modern Classics collection, designed and manufactured by Interiors 1900.